Throughout history, people have always moved from one place to another. The development of transport was essential for the advancement of civilisation and the sharing of goods, ideas and cultures. The Industrial Revolution in the 19th Century saw anumber of inventions fundamental... read full description below. Throughout history, people have always moved from one place to another. The development of transport was essential for the advancement of civilisation and the sharing of goods, ideas and cultures. 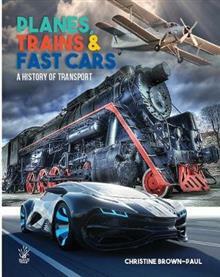 The Industrial Revolution in the 19th Century saw anumber of inventions fundamentally change transport, leading to the incredible and exciting machines we use today. 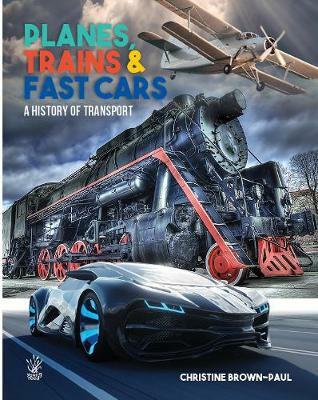 Planes, Trains & Fast Cars presents the development of three broad modes of transportation, bringing the facts to life with interestingtimelines, thrilling images and fascinating technological details. Christine Brown-Paul is an extensively experienced journalist, editor, researcher and scriptwriter. She has also worked for numerous government and non-government organisations as a media consultant and communications professional. As a part-time university tutor, Christine takes a keen interest in the educational sector and how it can provide real learning opportunities for both children and adults seeking to expand their knowledge of the world. She is a seasoned traveller, having explored many countries and taking every opportunity to travel via diverse types of transport on and off the beaten track.